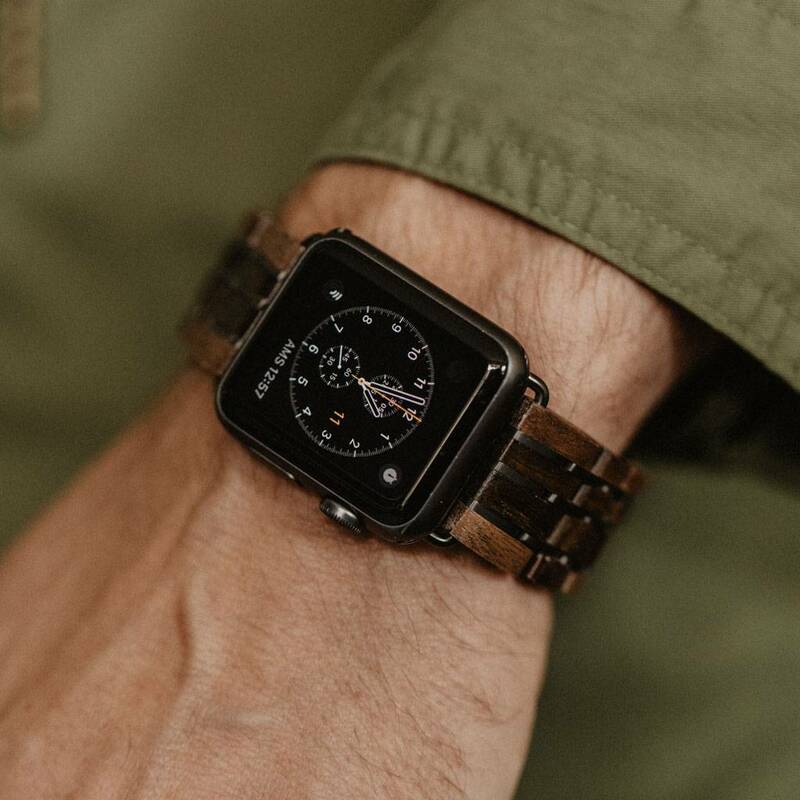 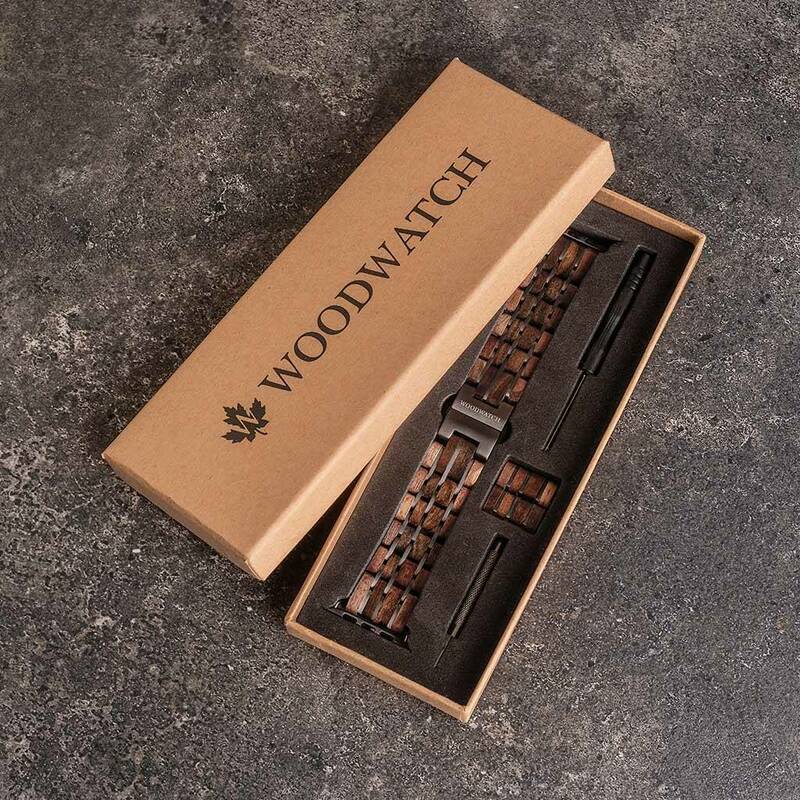 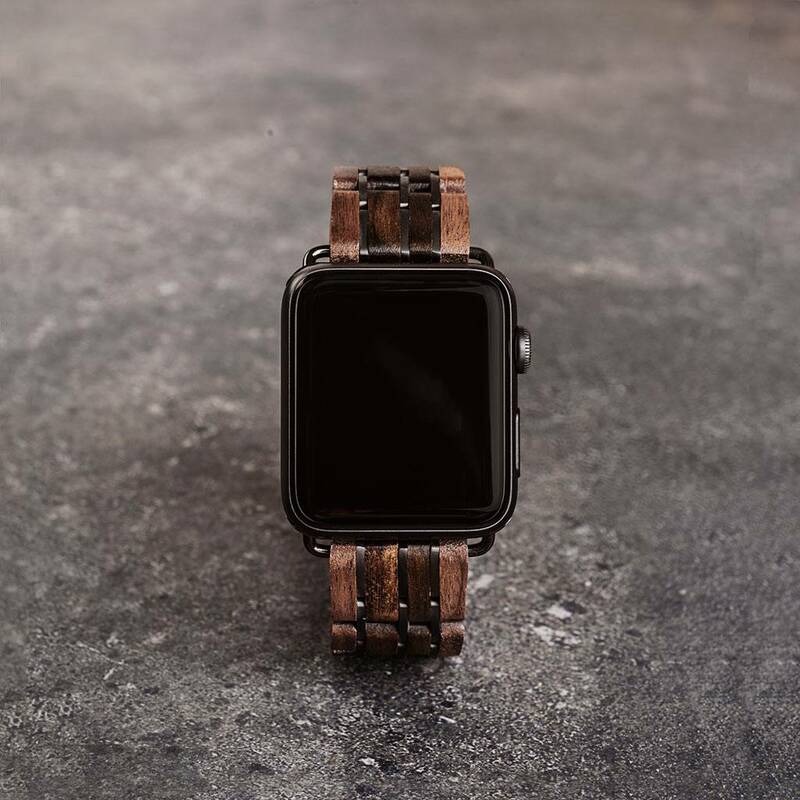 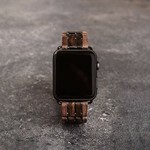 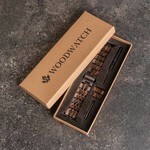 Our Apple Watch band is made of North American Walnut Wood and East African Black Sandalwood, intertwined with titanium links. The band has a stainless-steel butterfly clasp and a four-line band design. 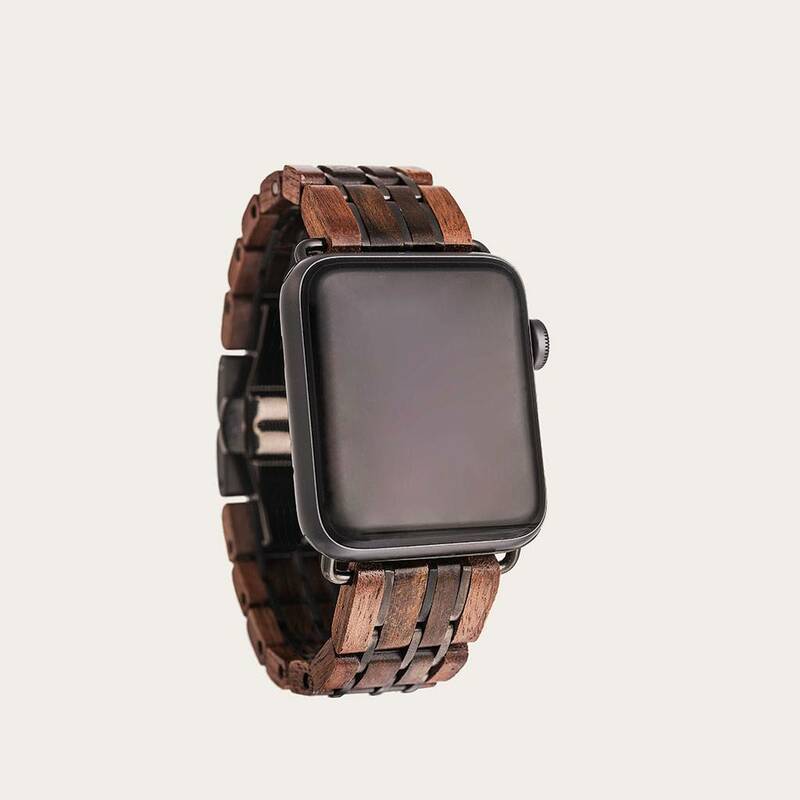 Each band has its own unique grain pattern and handmade.